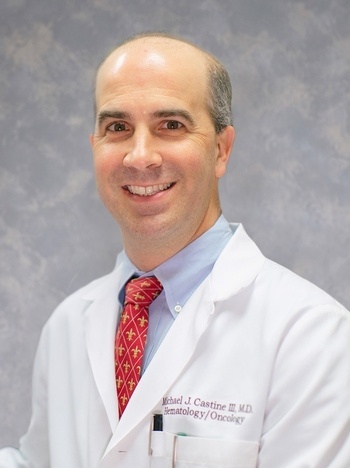 Dr. Castine is a graduate of Louisiana State University School of Medicine in New Orleans. He completed his internship and residency at the University of Alabama at Birmingham, then a fellowship in hematology/oncology at the UAB Comprehensive Cancer Center in Birmingham. Dr. Castine is board certified in internal medicine, hematology and medical oncology. He is a member of the Louisiana Oncology Society.